Mixed metals soldered to frame a gorgeous Petersite gemstone. This stone is marbled different shades of browns and very unique in its colors. 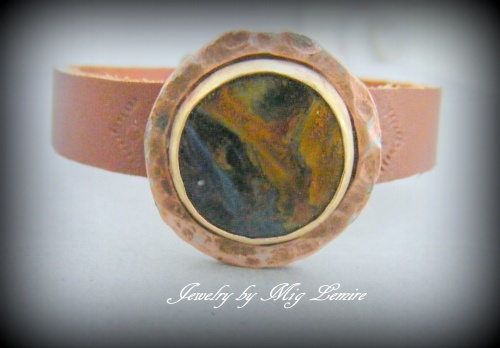 Piece is soldered with bronze bezel and has a copper hand stamped piece framing the stone. Bracelet has a strong antiqued bronze clasp. Measures 7".